318 species of natural origin recorded in Morris County, New Jersey as of April 1, 2019. Species occurrence is presented in bar-graph format. This data is a link from eBird, the Cornell Laboratory of Ornithology’s online data collecting web entity. Its historical reach is of recent data, but it gives a good representation based on actual sightings. The bar-graph lists only species reported to eBird, not the complete historical list of this web site. The bar-graph for Morris County is here. The status given each species is a general overview. See the Preface for suggestions for further reading regarding seasonal occurrence. in = introduced – may have formerly been self-sustainable but is now considered a released species, especially for hunting purposes. – Florham Park -February 24, 2013, J. Glassberg (photo). – Harding Twp. – October 1953, m.obs. – Loantaka Brook Reservation – October 23, 1983, D. Harrison. – Lincoln Park – January 26, 2005 – K. Witkowski – Boonton CBC. – Lake Musconetcong, January 5, 2006, T. Halliwell. – Southwest Morris Count – January, 18, 2009, E. Obercian, B. Machover. – Netcong – January 16, 2011, A. Boyd, T. Halliwell, B. Templin, W. Wander. – Foote’s Pond, Morristown (Boonton CBC) – December 23, 2012, F. Klecha, K. Lapsey. – Long Valley, Washington Twp. – March 20, 2014, J. Klizas (photo). – Long Valley – February 18-19, 2019, A. Boyd, m.obs. – Bee Meadow Park – December 26, 1977, Boonton CBC, W. Boyle, T. Halliwell. – Whippany – January 14, 1983, D. Oster. – Budd Lake – October, 19, 1983 (30), D. Harrison. – Lake Musconetcong – October 31, 1988, D. Harrison. – Lake Musconetcong – October 31, 1989 (2), D. Harrison. – Lake Musconetcong – October 29, 1992, D. Harrison. – Roxbury Pond – November 13, 1999, D. Harrison. – Lake Parsippany – October 9, 2002, G. Mahler. – Loantaka Brook Reservation – November 6, 2011, T. Smith,et al. – Roxbury Pond – October 24, 1990, D. Harrison. – A growing number of records in migration and wintering birds since being split from Canada Goose in the 45th supplement to the AOU Checklist in 2004. – Lake Musconetcong – June 10-19, 2016, A. Boyd (photo), m.obs. – Breeding Bird Atlas – 1999, lists this as a possible breeder in a northern block. 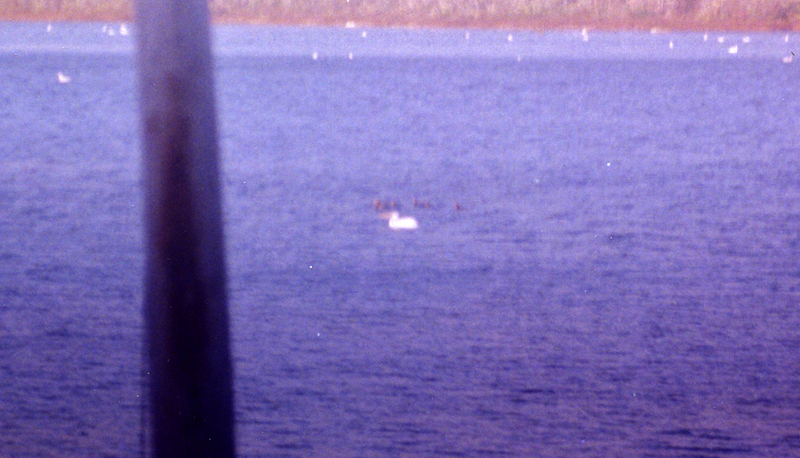 – Lake Musconetcong – October 2-18, 1988, B. Hueneman. – Lake Musconetcong – October 28 through November 1995, T. Halliwell. – Lake Musconetcong – November 3-29, 1996, T. Halliwell. – Lake Musconetcong – October 8 through November 3, 1998, T. Halliwell. – Mount Hope Lake – February-March 2010, J. Klizas, et al. – Lake Musconetcong – October 19, 2016, A. Boyd, et al. – Breeding Bird Atlas – 1999, lists this as a possible breeder in the Great Swamp N.W.R. – Boonton – February 27-April 3, 1932, Edwards. – Troy Meadows – April 3-30, 1932, Edwards. – Great Swamp N.W.R. – late 1990’s, M. Hiotis, N. Collins, at least 3 sightings. – Lake Parsippany – November 1952, C. Hoiles, J.B. Hawley et al. – Parsippany – 1973, 1977, 1993, G. Mahler. – Lake Parsippany – April 28, 2008, Swarovski Optik Cornell Sapsuckers. Annually reported since at least 2011. – Morris Plains – March 9-20, 2013, J. Glydon et al. – Lake Parsippany – March 15-22, 2013, J. Klizas, S. Lane, et al. – Boonton Reservoir – March 17 – April 6, 2013, J. Klizas, S. Lane, et al. – Mt. Hope Lake, Rockaway Twp. – November 1-5, 2016, J. Klizas (photo), m.obs. – Middle Valley, Washington Twp. – August 6-17, 2016, A. Goessling (photo). – Breeding Bird Atlas – 1999, lists this as a possible breeder in some northern lakes. – Boonton Reservoir – 2011, breeding, C. Miles. – Lake Musconetcong – Autumn, 2005 (one day only), J. Best (photo), A. Barlow. – Parsippany and Morris County – 1974, 1992, 1998, 2006, G. Mahler. – Hanover Twp. (Melanie Lane Pond) – May 21, 2012, J. Glydon, et al. – Troy Meadows – June 16, 1929 (adult), August 5, 1929 (immature), L.L. Walsh, The Auk, Vol. 46, No. 4, October 1929, pp. 537-538. – Budd Lake – April 11, 1988, B. Heuneman. – Great Swamp N.W.R. – May 2001, P. Bacinski, R. Radis. – Denville – Rockaway River- May 20-22, 2011, S.Fasciana, J. Klizas, T. Halliwell, G. Mahler, E. Mahler. – Melanie Lane Pond in Hanover Township – June 22, 2012, J. Klizas, J. Glydon. – Parsippany (Jefferson Rd. Pond) – September 9-October 8, 2013, J. Buechner (photos), et al. (2 juveniles were seen on September 12, 2013, G. and E. Mahler, A. Boyd, J. Buechner). – Parsippany (Jefferson Rd. Pond) – June 23-August 14, 2014, J. Buechner (photos), et al. – Great Swamp N.W.R. – July 4-August 1, 1977, Weigley et al. – Great Swamp N.W.R. – May 19-24, 2009, J. Halsey, R. Duffy, J. Gilbert, et al. – Great Swamp N.W.R. – Various records, not common. – Roxbury Pond – April 4, 1993, D. Harrison. – Melanie Lane Pond, Hanover Township – June 21-22,2012 J. Glydon. – Annual, with several reports per year since 2012 from Melanie Lane and elsewhere. – Chatham – ca. 1873, H. Herrick. – Great Swamp N.W.R. – May 21, 2011, M. Anderson, et al at the Friends’ Blind. – Budd Lake – June-July 1989, C. Kelly, D. Freeland. – Parsippany, Rockaway – 2011 – 1 Fledged at each location; New Jersey Bald Eagle Project, 2011. – 2007 Parsippany – first reported although nest failure apparent; active since. – 2005 Rockaway – first reported, 2 fledged; active since. – Breeding Bird Atlas – 1999, lists this as a possible breeder in the western part of the county. – New Vernon – Oct. 23, 1971, A. Keith. – Boonton – Fall 1994, Reported unknown. – Boonton – April 18, 1996, Gallagher. – Boonton – Summer 1996, Gallagher. – Mendham – June 23, 1996, M. Newlon. – Passaic River Marshes – 4+ ca. 1875, H. Herrick. – Madison – September 17, 1877, H. Herrick. – Whippany – Fall 1881, A. Fairchild. – Troy Meadows – March 31, 1935, W. Eaton, R. Edwards. – Randolph – October 19, 2007, R. Blair, R. Crossley. – Troy Meadows – April 1930, Urner. – Great Swamp N.W.R. – December 12, 1995, M. Hiotis, M. Silber (photo). – Great Swamp N.W.R. – May 1, 2010, S. Lane, J. Pescatore. – Great Swamp N.W.R. – March 15-16, 2014, M. McCullough (photo), R. Little, S. Lane, J. Denesevich (photo). – Morris County – Date?, R. Kane. – Great Swamp N.W.R. – August 13, 2012, B. Barkley, B. Fogarty, J. Mulvey (photos). – Roxbury Pond – May 18, 1992, D. and R. Harrison, et al. – Roxbury Pond – August 5, 1992, D. Harrison. – Parsippany (Boonton Reservoir) – 1972, G. Mahler. – Parsippany (Boonton Reservoir) – 1972, 1977, G. Mahler. – Parsippany – 1976, 2002, G. Mahler. – Parsippany – 1972, 1973, 1977, G. Mahler. – Roxbury Pond – September 23, 1990, D. Harrison. – Great Swamp N.W.R. – May 2001, R. Kane. – Roxbury Pond – August 20, 1992, R. Kane, I. Black, D. Harrison. – Roxbury Pond – August 25, 1995, R. Kane, H. Wallum. – Lake Musconetcong – August 12, 1982 , T. Halliwell. – Boonton Reservoir – September 1, 1990, T. Halliwell, R. Kane. – Boonton Reservoir – December 12, 1957, F. Wolfarth. – Lake Musconetcong – 2 on April, 10, 1992, I. Black, T. Halliwell. – Lake Musconetcong – after a storm on September 19, 2003, T. Halliwell. – Roxbury – April 18, 1992, D. Harrison, et al. – Lake Parsippany – March 17, 1982, D. Harrison. – Lake Parsippany – 1990, G. Mahler. – Lake Musconetcong – March 13, 1994, D. Harrison. – Budd Lake – March 12, 2011 (2), J. Ellerbusch, J. Klizas. – Lake Musconetcong – January 11, 1986, D. Harrison. – Lake Musconetcong – March 26, 1994, D. Harrison. – Budd Lake – March 2-8, 2013, J. Ellerbusch, et al. – Boonton Reservoir – January 1, 2014, J. Buechner, J. Klizas. – Lake Musconetcong – May 3, 1992, T. Halliwell. – Lake Musconetcong – August 24, 1992, T. Halliwell. – Budd Lake – May 15, 1993, G. Mahler. – Great Swamp N.W.R. – May 2004, F. Weber, S. Lane. – Great Swamp N.W.R. – August 28, 2011 (Hurricane Irene), S. Lane. – Budd Lake – May 8, 2014, S. Lane, et al. – Lincoln Park Gravel Pits – September 11, 2016, R. Johnson, et al. – Chubb Park, Chester – June 15, 1989, D. Harrison, “a fly-by during a downpour”. – Lake Parsippany – October 2005, G. Mahler. – Budd Lake – 7 on May 1, 2014, A. Boyd, et al. – Lake Musconetcong – August 8, 1985, T. Halliwell. – Lake Musconetcong – May 17, 1992, T. Halliwell. – Mt. Hope Lake – 2 on June 18, 1996, T. Halliwell. – Boonton Reservoir – September 26, 2012, J. Klizas. – Lincoln Park – August 26, 2013, J. Klizas. – Greystone Park (on pond) – M. Chaillet (pers. Com. from T. Koebel (Dec 2002) recalling a record from probably in 50’s. – Boonton Reservoir – November 26, 1939, J. Cadbury, B. Hiatt. – McDonald’s Pond area Pequannock – Date?, R. Kane, I. Black, et al. – Denville – November 17-21, 2007, J. and C. Knapp, S. Byland, et al. – Denville – October 31, 1997, M. Lindsay. – Landing – October 6-20, 2011, J. Jones, H. Tomlinson, S. Galick, et al. – Great Swamp NWR – September 18 – October 14, 2014, T. Carruthers, et al. – Bee Meadow Park, Whippany – September 19, 2011, J. Glydon, et al. – Boonton CBC, Stiles Lane in Montville Twp – December 21-23, 2003, J. Klizas and C. Miles. – Veterans Mem. Park, Whippany, Hanover Twp. – September 13, 2015, J. Klizas, many obs. – New Vernon – August 13-16, 1986, Freeland. – Great Swamp N.W.R. – April 1974, R. Kane, I. Black. – Great Swamp N.W.R. – February 28, 1975, R. Kane. – Great Swamp N.W.R. – March 21, 1975, G. Mahler. – Mendham – April 29, 1987, Freeland. – Great Swamp N.W.R. – April 5, 1997, H. Burk, T. Halliwell, et al. – Parsippany – November 7, 2000, R. Radis. – Roxbury – 2011, A. Boyd, breeding record. – Troy Meadows – 1947 breeding colony, Urner Club. – Rich Kane – date unknown. – Breeding Bird Atlas – 1999, lists this as a probable breeder in Norway Spruce groves in the highlands area of the county. – Mount Tabor – October 19, 1981, D. Henderson. – Great Swamp N.W.R. – January 21 – February 1, 2004, M. Hiotis, H. Tomlinson, S. Ozard, et al. – Breeding Bird Atlas – 1999, lists this as a probable local breeder in the highlands area of the county. – Breeding Bird Atlas – 1999, lists this as a possible breeder in the Chester Township area of the county. – Parsippany -1970s (? ), R. Radis. – Boonton – Winter 1978, C. Reeves, R.Kane, et al. – Lincoln Park Gravel Pits – October 14, 2003, R. Kane, et al. – Florham Park – September 23, 2012, J. Glydon (photo), J. Klizas. – Troy Meadows – October 26, 2016, R. Fanning. – Florham Park – May 28, 2015, D. Garcia-Hall. – Lincoln Park – October 10, 1978, T. Koebel. – Troy Meadows – October 21, 1992, R. Johnson. – Willowwood Arboretum, Chester Twp. – June 26 – August 18, 2001, T. Halliwell, L. Austad, R. Borzelli, m.obs. – Great Swamp N.W.R. – December 17, 2000, W. Boyle. – Great Swamp N.W.R. – November 2, 2011, fide J. Ellerbusch, E. Driver (Photographs). – Troy Meadows – May 7, 1935, E. Eliot, E. Janvrin, C. Tucker. – Flanders – January 19 – mid March 1986, J. DeMarrais, E. Patten, m.obs. – Mendham – December 8, 1989 – mid March 1990, J. Graham, D. Harrison, m.obs. – Boonton – January 9 – April 12, 1976, C. Reeves, m.obs. – Boonton – October 18 – April 1, 1977, C. Reeves, m.obs. – Boonton – Winter 1977-78, C. Reeves, m.obs. – Millington – December 15, 1991, Corges. – Long Valley – March 1-April 7, 1997, J. and E. Parke. – Denville – February 3, 2001, G. and E. Mahler. – Parsippany (Old Troy Park) – 1970’s Boyle. – Lake Denmark – June 6, 2001, T. Halliwell. – Great Swamp N.W.R. – May 18, 2006, D. Peer, M. Hiotis. – Rockaway – April 26-27, 2015, G. and V. Nixon. – Kinnelon – June 5-22, 1977, N. and P. Hertzfeld, W. Weiss. – Towaco – December 5, 1982, T. Vogel, F. Frazier Jr.
– Mt Olive – December 21, 2006 – January 11, 2007, J. & R. Sabella, J. Harrington, T. Halliwell, et al. – Long Valley – April 23-24, 2015, A. Rand (awaiting acceptance from NJBRC). – Denville – December 4-11, 1974, M. and C. Hannisian, m.obs. – Morris Plains – October 95 for ca 2 weeks, G. Reimer. – Hacklebarney Park – July 1947, R. Conn.
– R. Kane – date unknown. – Black River, Chester Township – August 12, 1990 (female), D, Harrison, E. Patten. – Sayre’s Farm, Morris Township – October 18, 2011 (female), J. Klizas. – Willowwood Arboretum, Chester Township – November 26, 2011 (female), T. Halliwell. – Annual at various locations since 2011. – Montville – December 17, 2005, R. Hinkle. – Montville – December 4, 2010, D. Amari (photo). – County-line near Hoffman Sanctuary – 1990s, R. Kane. – Troy Meadows – October 2010, Roger Johnson. – Great Swamp N.W.R. – October 28, 2011, B. Lynch. – Dover/Rockaway Twp. border – October 10-15, A. Frary (photos), m.obs. – Troy Meadows – May 2-16, 1953, R. Harrison, C. Collins, J. Baird, m.obs. – Troy Meadows – December, 1963, R. Thorsel at feeder. – Middle Valley – February 2, 2008, T. Halliwell. – Boonton – late February, 1953, Burns et al. – Several Morris Co. occurrences including January 1969 at Jockey Hollow. – Parsippany near Troy Meadows – 1977-78, T. Halliwell. – Passaic River – 1977-78, R. Kane. – Rockaway Township – January 18 – March 26, 1994, G. and V. Nixon, T. Halliwell, et al. – Great Swamp N.W.R. – 7 on October 27, 1997, H. Burk, M. Hiotis.